There have only been four eons so far. 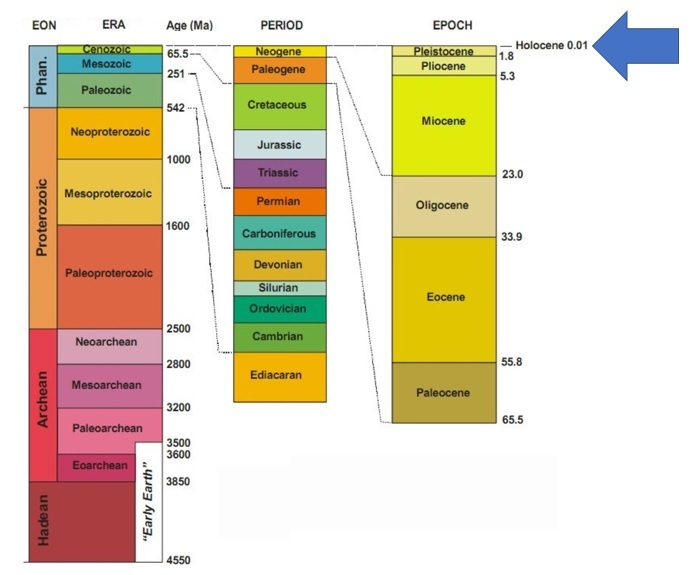 Each was a major transition in earth history — a shift in the relationship between life and the planet. Life first emerged at the beginning of the Archean era around 4 billion years ago, when things cooled down enough. Around 2.5 billion years ago, cyanobacteria learned to photosynthesize. They bathed the world in oxygen, caused mass extinction, and deeply entangled life with the physical and chemical workings of the planet. 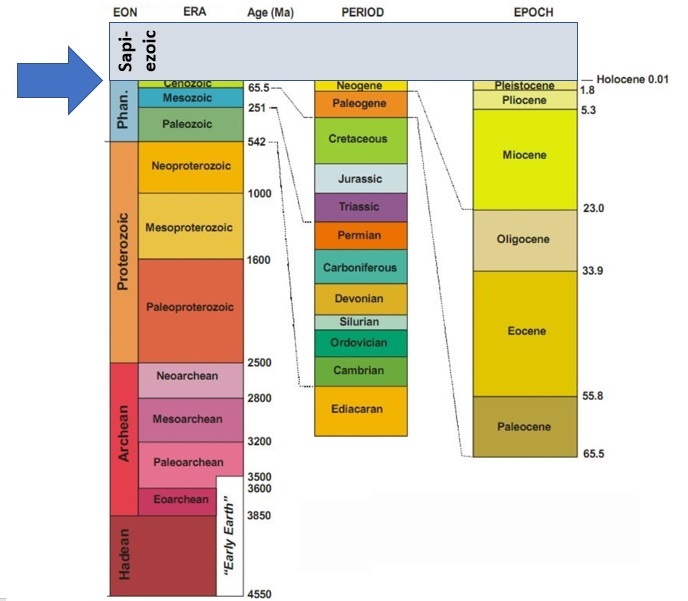 At the boundary between the Proterozoic and Phanerozoic, around 500 million years ago, life went multicellular, plants and animals appeared, and the modern eon began. Will our descendants look back on the Anthropocene as the dawn of a fifth eon? Grinspoon makes a compelling case that they might. The Archean cyanobacteria that poisoned the environment couldn’t know what they were doing. We can. Our infrastructure is taking over the planet as surely as the oxygenated atmosphere did. But it is, at least potentially, under our conscious control. The hallmark of the Sapiezoic eon he envisions: intentional re-terraforming. I’ve listened to all the Long Now podcasts, some more than once. This one rates very highly. It’s a great talk. Author Jon UdellPosted on 25 Sep 2017 26 Sep 2017 Categories . Next Next post: Really, AT&T?